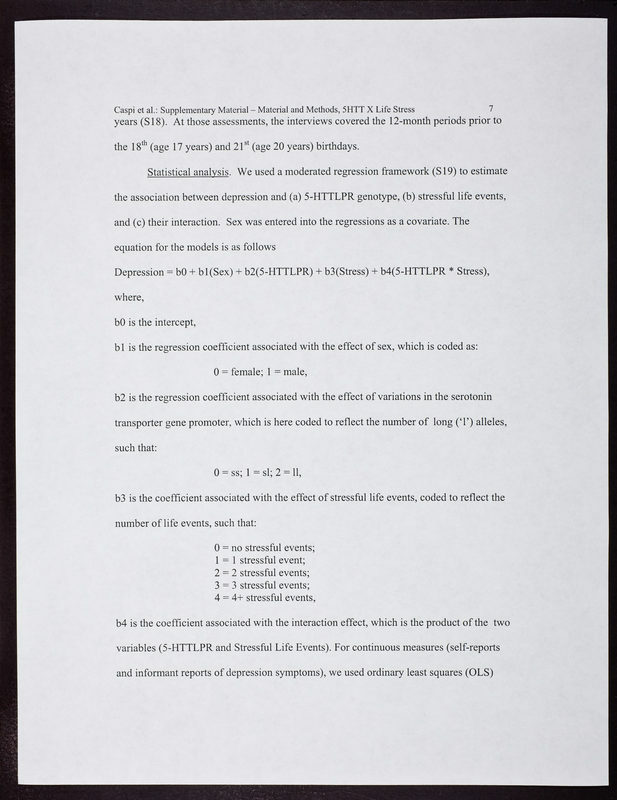 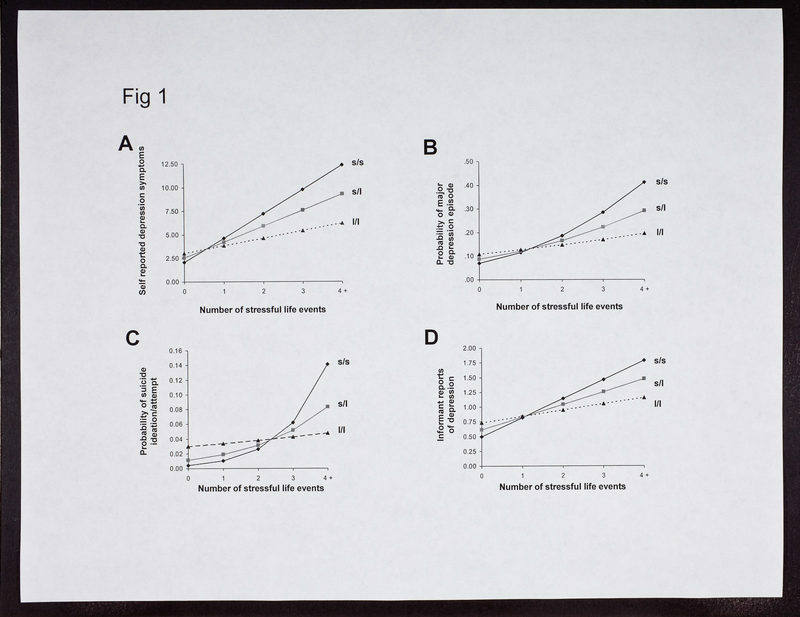 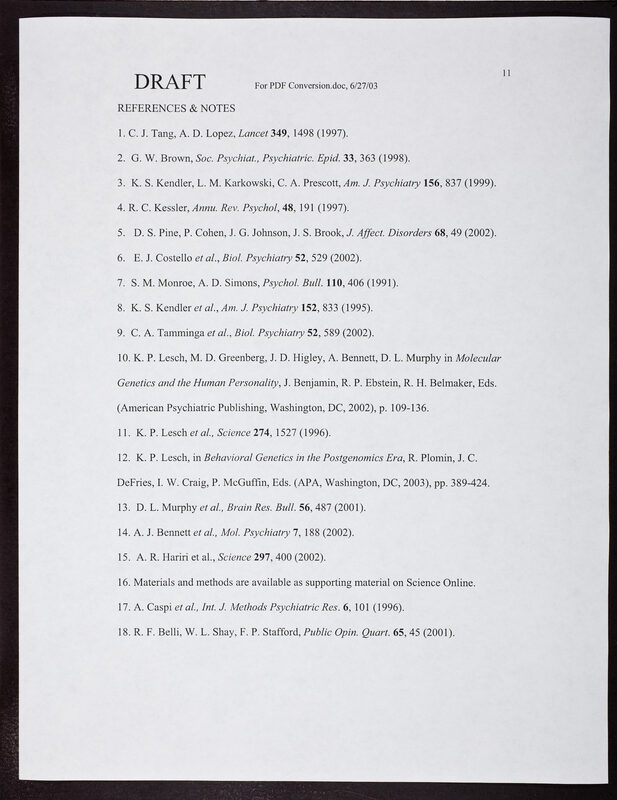 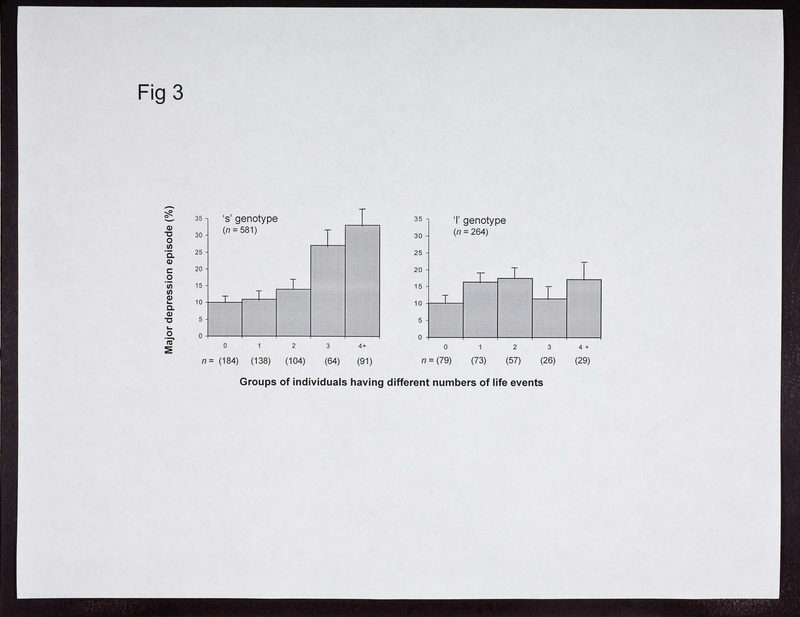 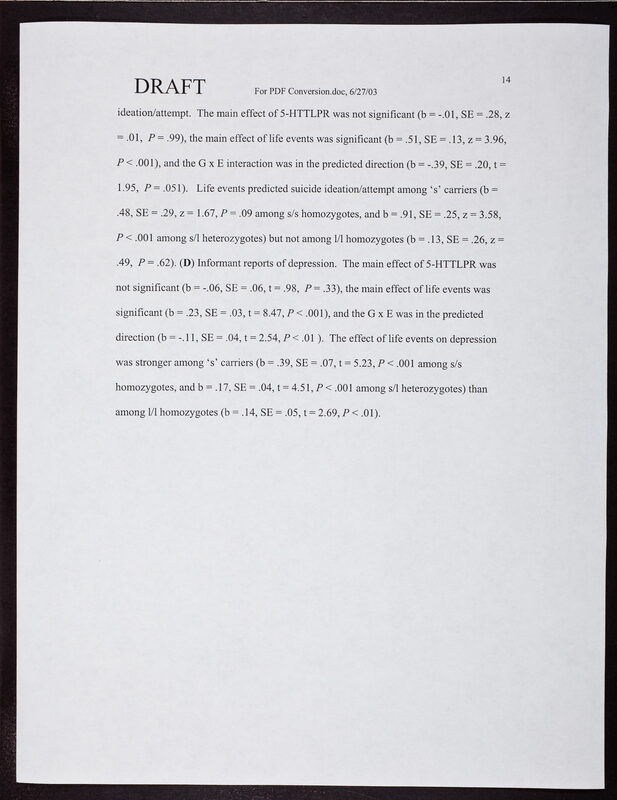 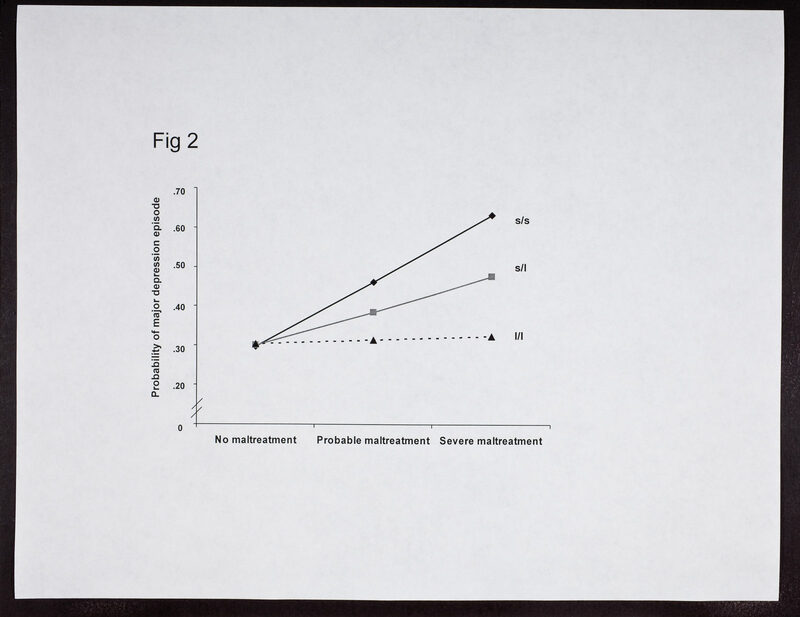 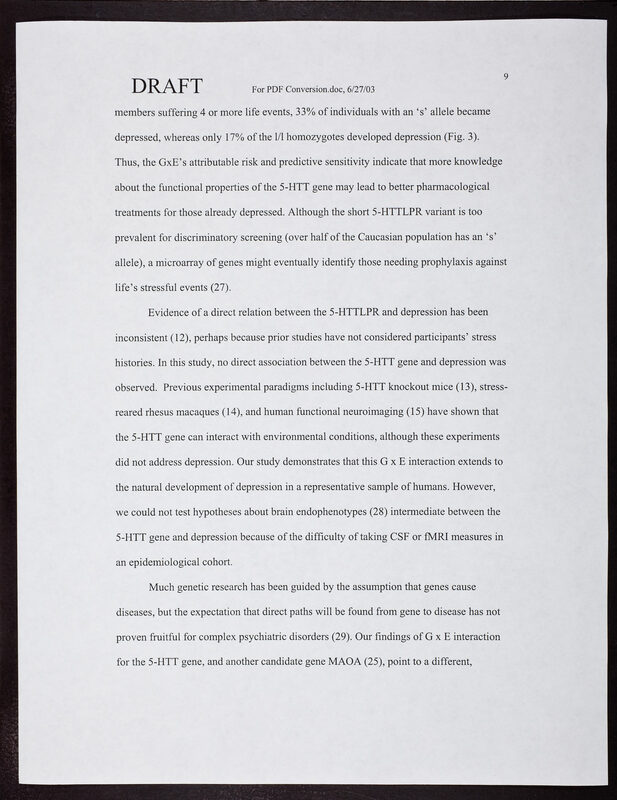 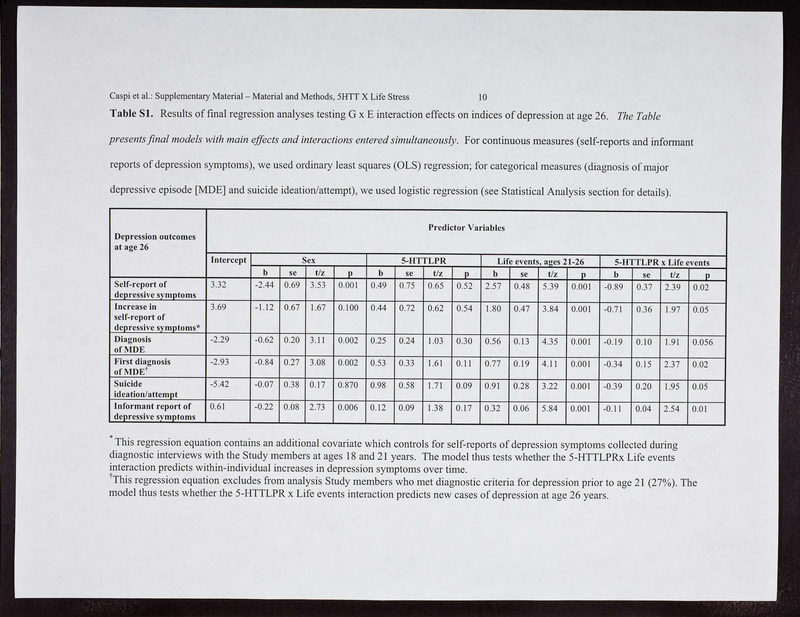 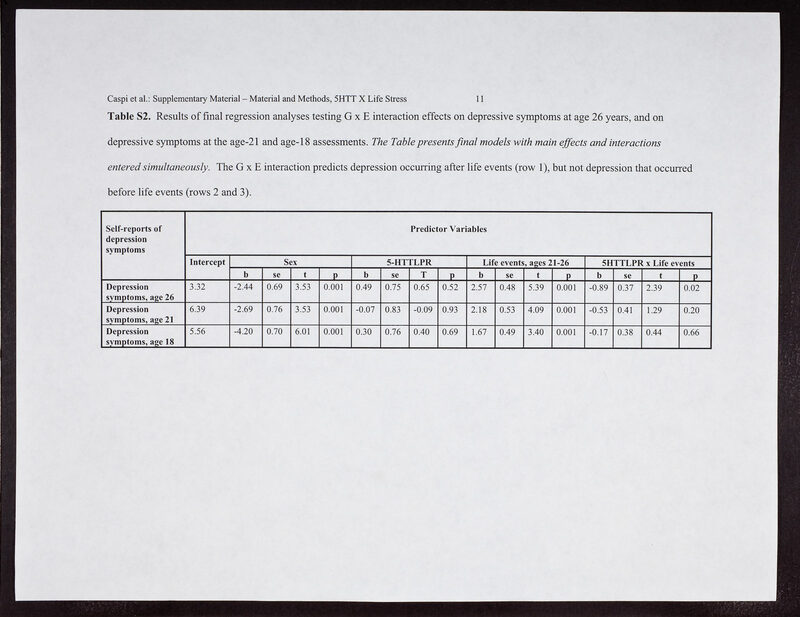 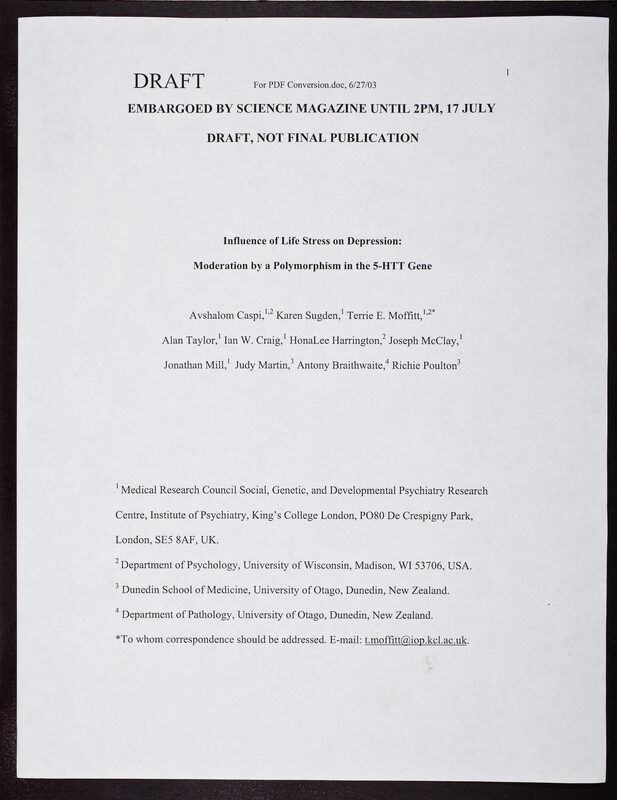 CSHL Archives Repository | Draft: "Influence of Life Stress on Depression: Moderation by a Polymorphism in the 5-HTTGene" by Avshalom Caspi, et al. 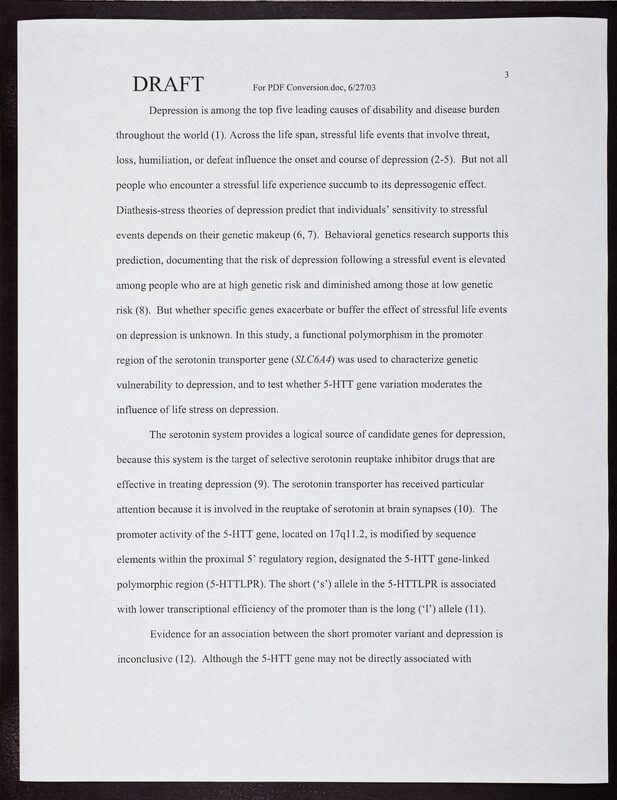 Draft: "Influence of Life Stress on Depression: Moderation by a Polymorphism in the 5-HTTGene" by Avshalom Caspi, et al. 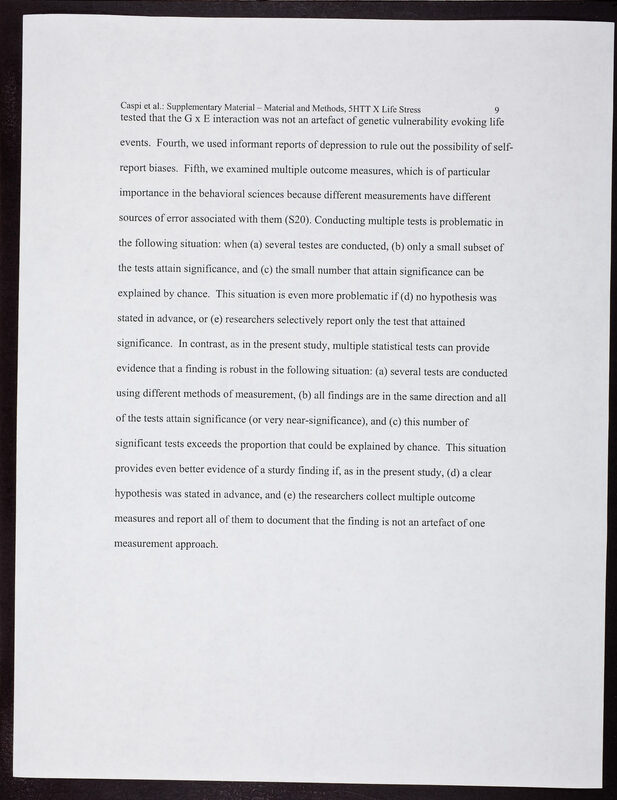 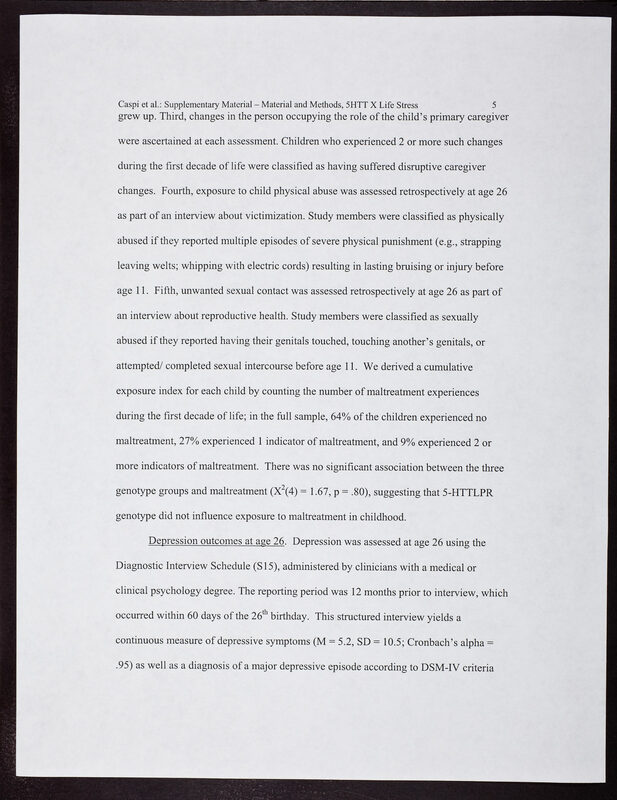 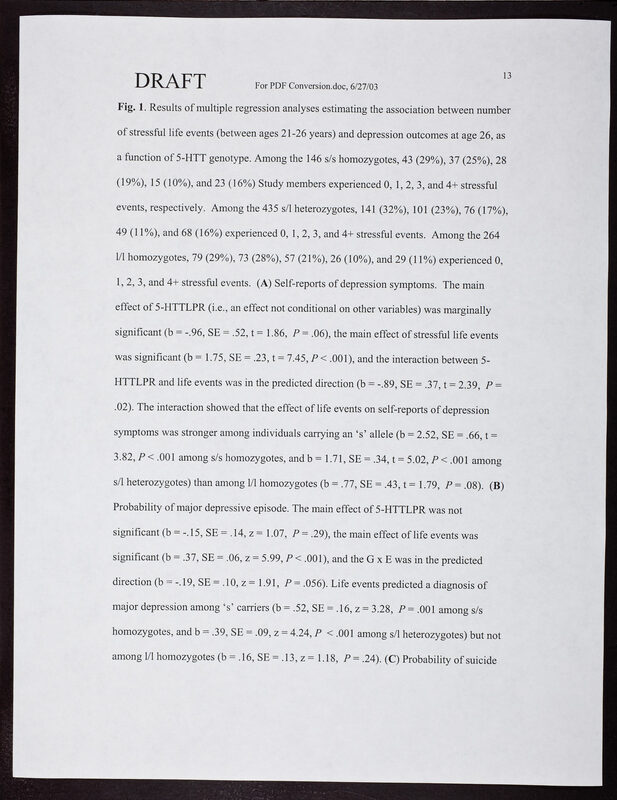 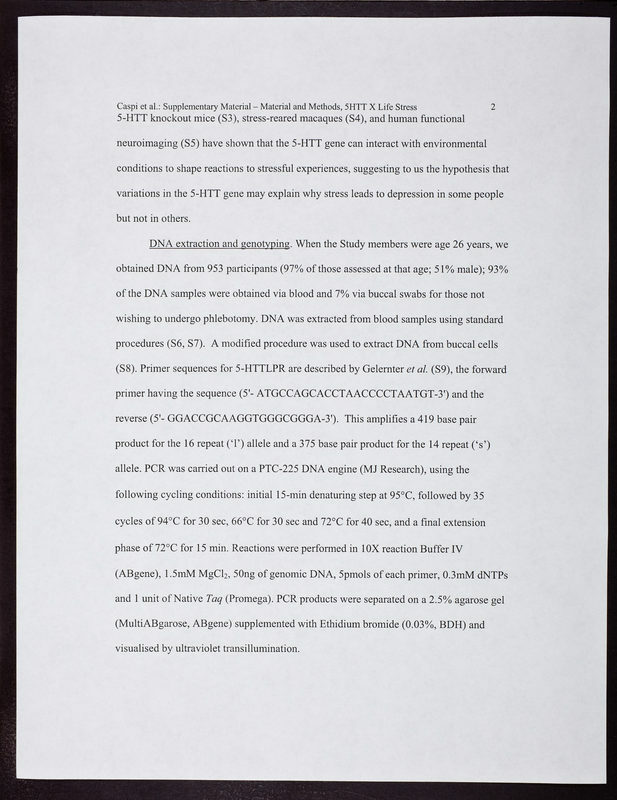 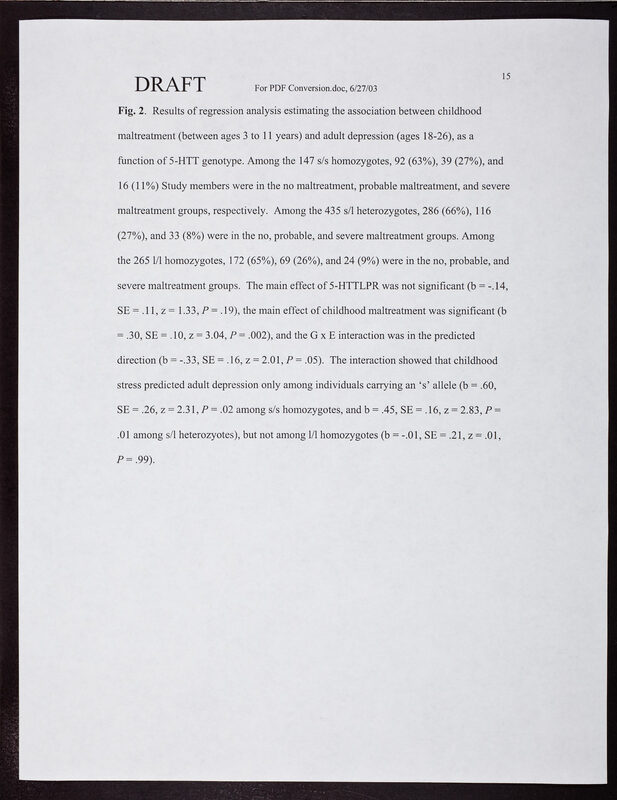 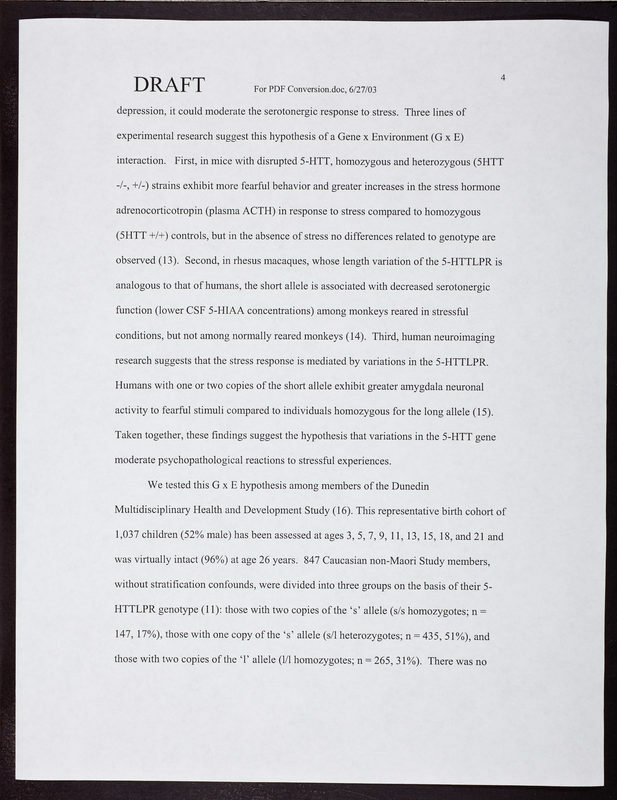 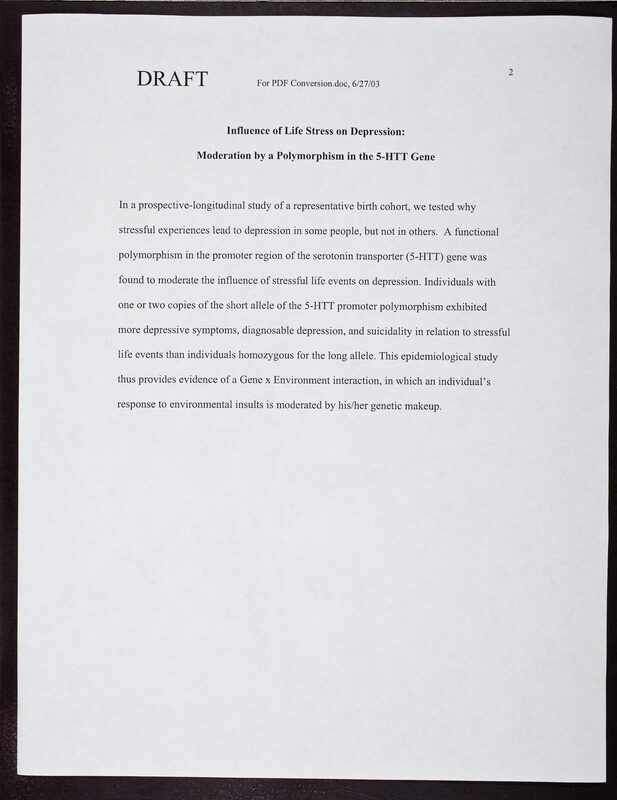 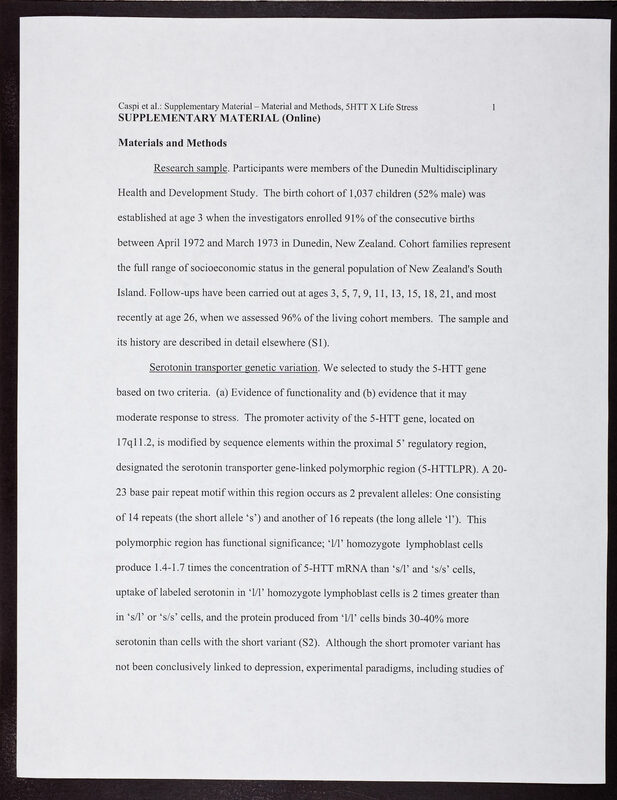 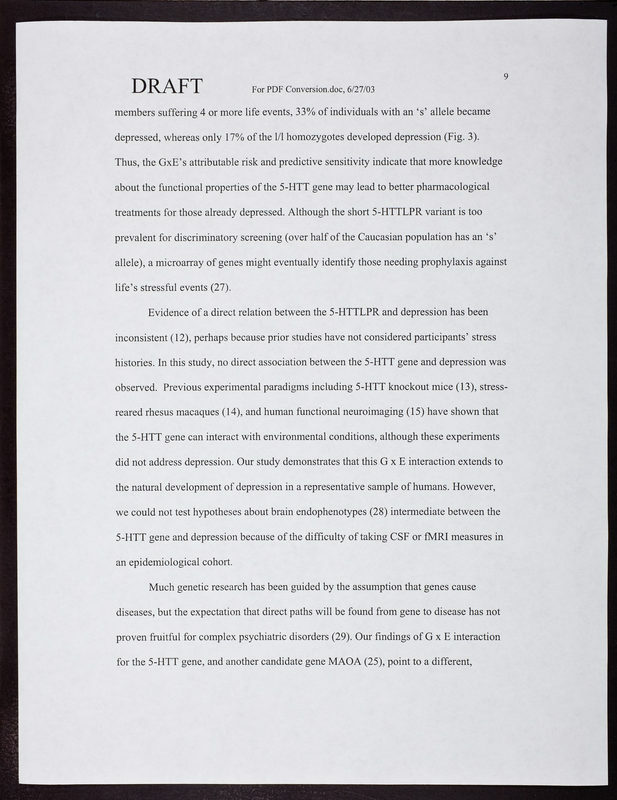 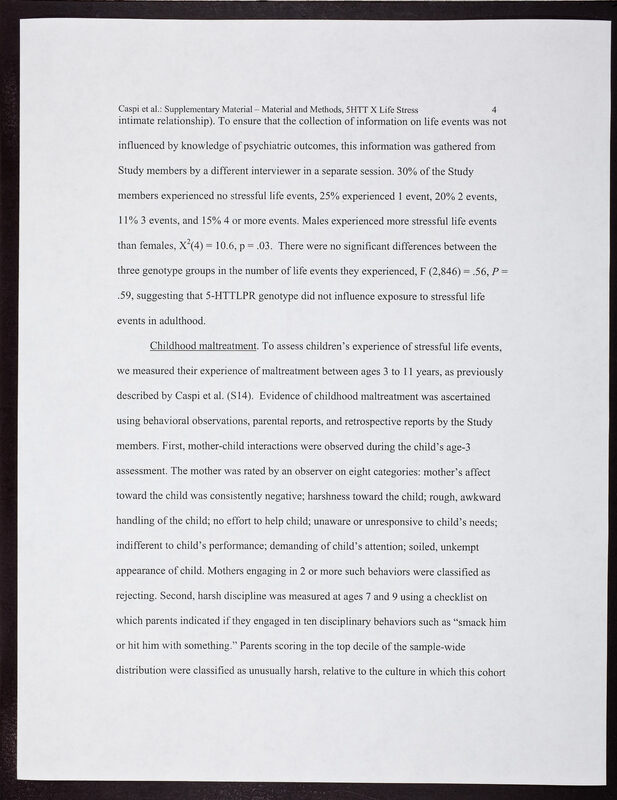 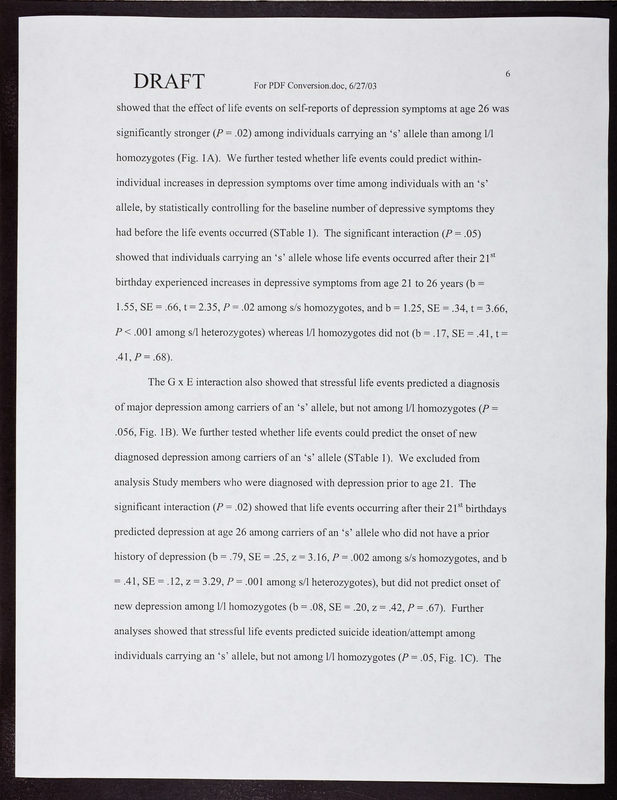 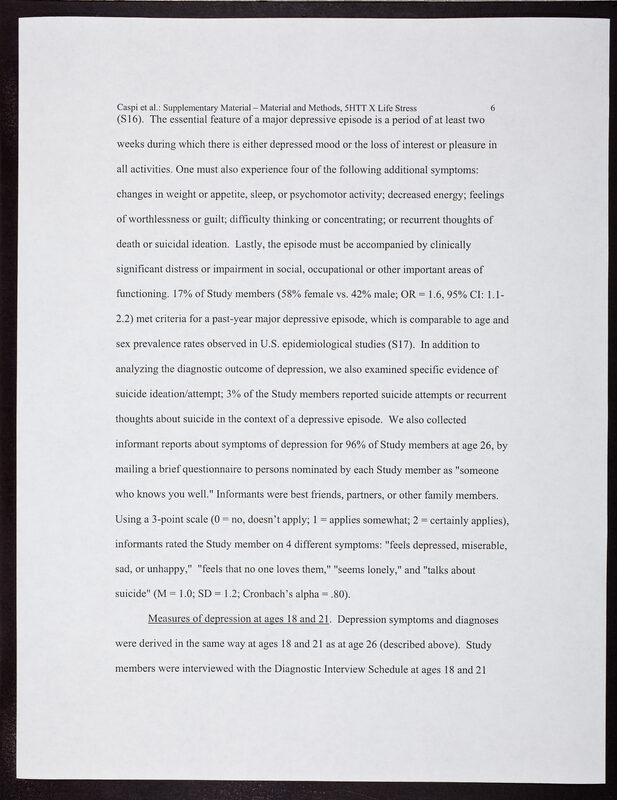 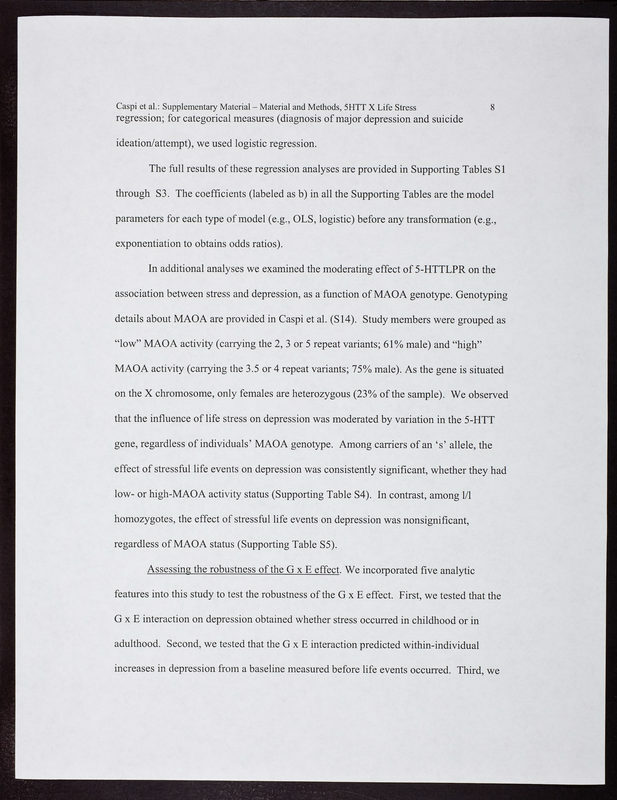 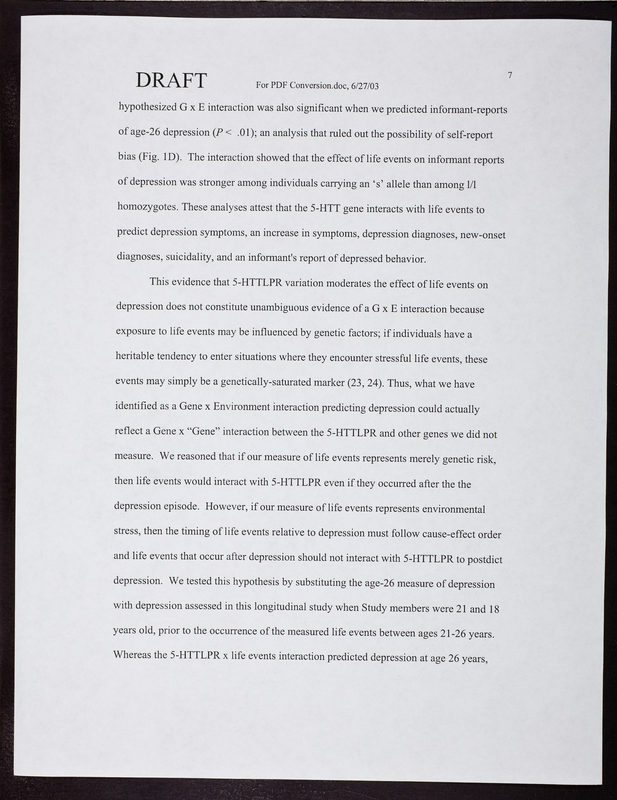 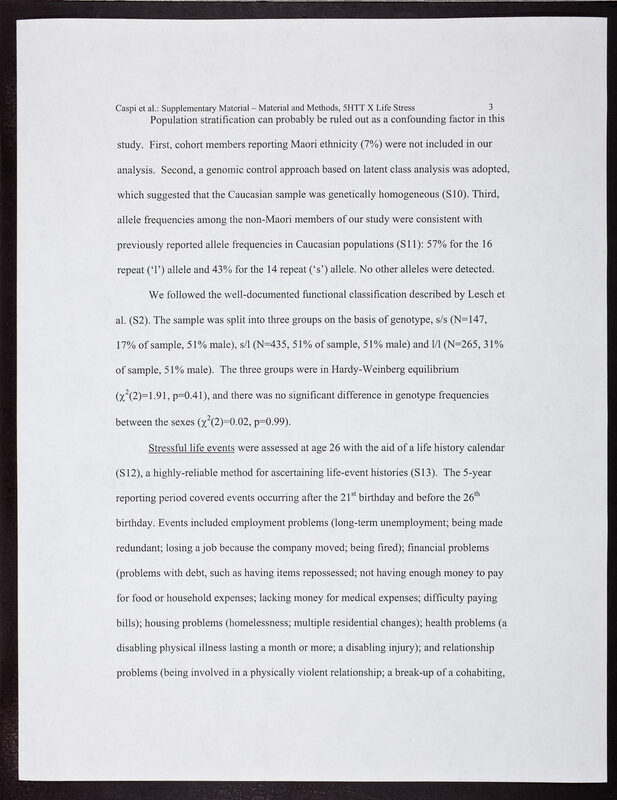 Caspi, Avshalom , “Draft: "Influence of Life Stress on Depression: Moderation by a Polymorphism in the 5-HTTGene" by Avshalom Caspi, et al.,” CSHL Archives Repository, Reference JDW/2/2/1535/12, accessed April 18, 2019, http://libgallery.cshl.edu/items/show/85238.